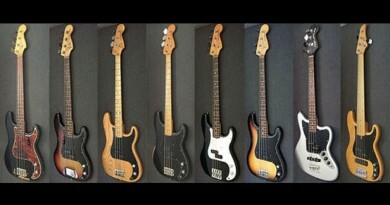 The original Jazz bass was introduced by Fender in 1960. 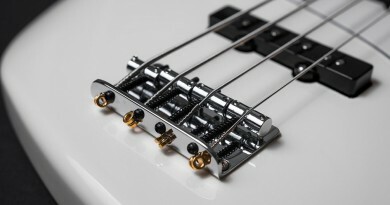 As opposed to the split humbucker pickup design of the Precision bass, the Jazz bass featured two single coil pickups with separate volume controls. In the beginning each pickup also had its own passive tone control that was able to roll off some of the treble, but after a few years this design was changed to implement one tone control knob that would apply the same passive tone control, but covering both pickups. Some of the players who have contributed to making the Jazz bass (not just Fenders) so famous and iconic are Jaco Pastorius, Marcus Miller, Geddy Lee, Victor Bailey, Will Lee, Larry Graham, Stanley Clarke just to name a few. Basically, there are 6 basses on test here. 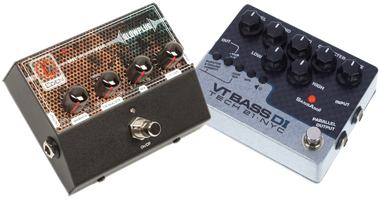 However, one of them is active/passive so it is featured as passive as well as active with the preamp set completely neutral, but also with a slight boost of the bass and treble in an attempt to create the classic ‘Jazz bass on steroids’ tone. As always, all basses are unique. The primary common denominator here is that we’re talking about Jazz basses. That said, there are some variables that you should notice. 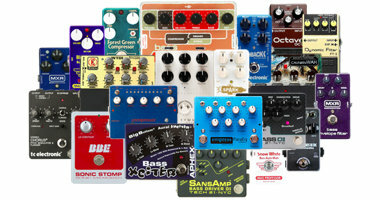 I will specify the condition in full for the bass in question before each new round. One very important thing that applies to all basses is that in order to make the comparison as accurate as possibe, I felt it was necessary to use a new set of strings – and then use that same strings on all basses.In other words, when I was done recording one bass I pulled off the strings and used them on the next bass for the test. 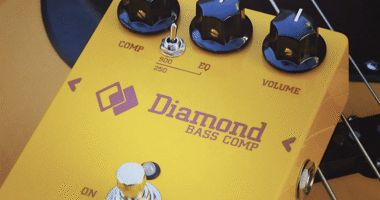 Pickup spacing is important as the original distance between the two pickups was changed a few years after Leo Fender sold his company to CBS in 1965. The bridge pickup was moved a bit further towards the bridge – reportedly due to more efficient CNC machinery processes. This not only meant that the sound of the string would be picked up closer to the bridge, but also that the natural phase cancellation of happening between the two pickups would be different. During the early 80’s the bridge pickup of the Jazz Bass was relocated back to its original position. Now that we got that sorted, let the testing begin! I think that the Fender basses sound very similar wit both pickups on, no tone control and played fingerstyle. 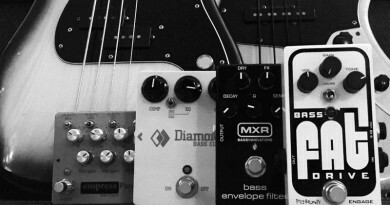 Subtle tonal differences tend to become more pronounced when soloing one of the pickups or start slapping the bass. Try going through the sound clips again with one of these things in mind and see if you think there is a noticable difference between e.g. 60’s vs 70’s pickup spacing, light and heavy basses or rosewood vs maple finger boards. I hope you enjoyed this shootout. If you did, please sign up for the newsletter and make sure not to miss out on the next shootout or review! Leo sold fender to cbs in 1965 not 69.